Each Other vs One Another: Why Confusing? Here, the two teams are reciprocal in their hate, i.e. team 1 hates team 2 and team 2 hates team 1. However, “each other” and “one another” are not technically interchangeable, although they sound as if they should be. Here we will discuss the “each other” vs “one another” confusion and explain the differences. 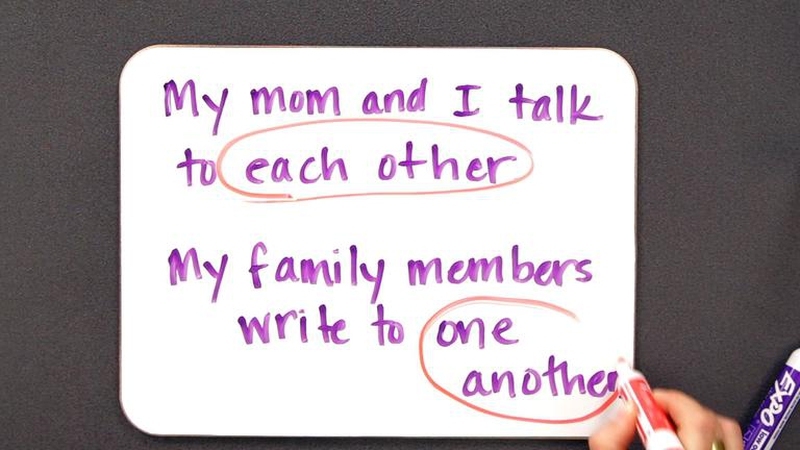 As discussed above, “each other” and “one another” are reciprocal pronouns that cannot be used interchangeably despite appearing to mean the same thing, which lead to the confusion. The reason they are not interchangeable is this: traditionally, “one another” refers to three or more subjects, while “each other” only refers to two subjects. See the below examples of both types. The two professors help each other with grading papers. The two cats licked each other. The three ships fired their cannons at one another. Bob and Chuck pushed one another = Bob pushed Chuck and Chuck pushed Bob. My friend and I mailed each other packages = I mailed my friend a package and my friend mailed me a package. They refused to work with one another = She refused to work with him and he refused to work with her. “One another” and “each other” are not synonymous with phrases such as “one and another”, which is used to refer to a person/thing and another person/thing, and “each of the others”, which refer to each one of the others people. “One another” and “each other” cannot be used as the subject of a clause. The two generals discussed a possible truce and commented on each other’s strategy for winning the battle. Here, “strategy” is the singular noun. The two generals discussed a possible truce and commented on each other’s ground forces. Here, the noun, “forces” is plural. Thus, according to what we have talked above, if you are strict about the grammar, stick to the rules. If not, it's still OK.